As an innovative company, we are not standing still – we are focusing on future-oriented technologies. 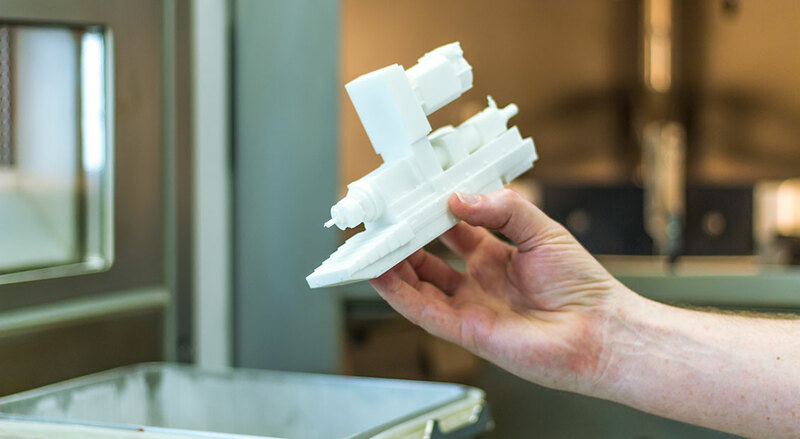 We believe that the field of rapid prototyping provides us with the proper approach to further develop our products. Thanks to our 3D sintering plant, we have not only been able to continuously improve our products since the start of 2015, but we also want to pass this added value on to our customers. Selective laser sintering, SLS in short, which is also referred to as 3D printing, is part of the group of additive production processes. In a constantly repeating process, plastic powder is applied one layer at a time, melted by a laser and thereby sintered. Not only prototypes can be generated in this way but predominantly also fully functioning components. Such as hinges, springs or threads. We will gladly explain the details of laser sintering in a one-to-one conversation. Herr Limberger is available as your competent point of contact.